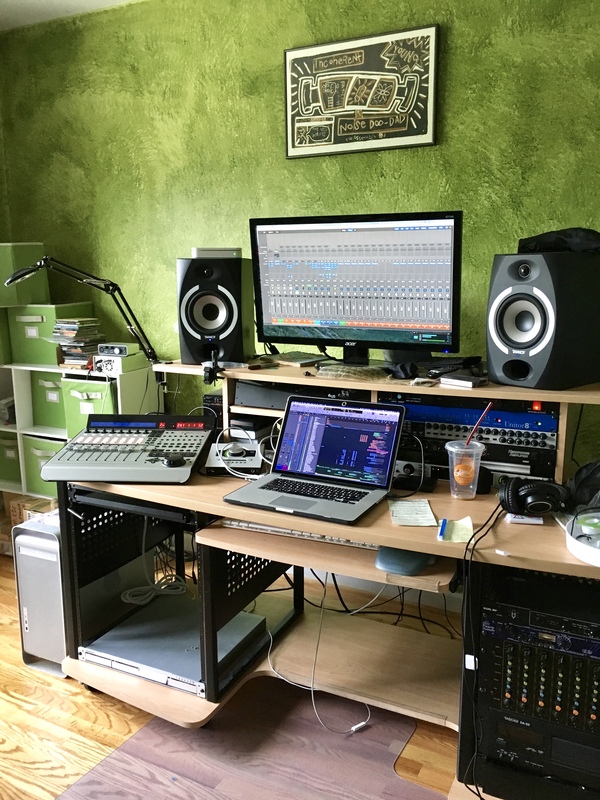 Freshly minimized desk view of the Fairy Prince Rainbow Room, formerly Dan Bryk’s Flabby Road Studio. This is right after unpacking. Sadly we sold some cool gear during our itinerant years, but UAD DSP sure is cheaper and lighter to keep around than a rack of outboard.